Marvelous Entertainment has released the first official trailer for the PlayStation Vita port of Vanillaware’s criminally under-appreciated 2009 Wii cult-classic Oboromuramasa (better known in the West as Muramasa: The Demon Blade). As anyone familiar with the title would expect, Muramasa looks completely stunning running on the Vita’s OLED screen. Aside from the drop dead beautiful artwork and visuals, the trailer covers the general plot of the game — which will require fluency in Japanese to understand — and provides a rundown on some of the new and old features. It’s a little difficult to tell (given the language barrier) but it appears that everything in the Wii version has made the jump to the Vita. This means you will have multiple stories to play though, lots of food to cook, and plenty of sword forging to keep you busy during the journey. The 2:30 mark of the trailer also contains a portion that appears to show the ”Mysterious Legend of the Genroku Era” downloadable content that is new to the Vita version of Muramasa. Assuming that is what is being shown, the DLC looks like it will add four new characters to the game, however, it is unclear if they are playable or just in the game in some other way. Muramasa: The Demon Blade is currently scheduled to launch in Japan on March 28th of this year, with no word on a possible Western release date. While the title launched to a fair amount of critical acclaim back in 2009, it failed to catch on with North American consumers. Given that lackluster sales reception, and complete silence from Marvelous, it seems like a bit of a long shot to expect a Western release. 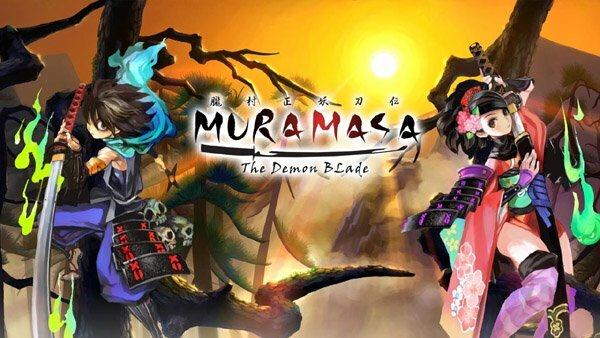 With that said, if there is a video game worth demanding and then holding your breath and stomping your feet until it is delivered, it’s Muramasa: The Demon Blade.